"Michael De Re Builder Pty Ltd offers a complete building service from initial cost estimates for development proposals, design developments and cost planning, project management through to construction completion." Michael De Re Builder Pty Ltd is a privately owned company and was formed in 2006. The early operations were a part time affair only completing a few projects up until August 2008 where the company became incorporated and a full time enterprise. Company founder and Director Michael De Re has been in the building and construction industry since 1998 gaining an honours degree in Bachelor of Applied Science, Construction Management, primarily working in the role of administrator and project manager for some of Brisbane’s leading construction companies completing some of Brisbane’s most easily recognisable and award winning projects. With Michael having come from a strong commercial background the benefits to clients include tighter time and cost controls, value adding engineering, experience with new and innovative materials. 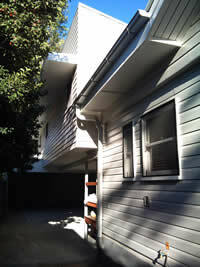 In addition to this an indepth understanding of the Building Code of Australia and other relevant Australian Standards. Through Michael’s experience, Michael De Re Builder Pty Ltd aims to make the building process enjoyable and hassle free through strong communication, forward planning, extensive cost planning and risk management for all parties involved. Michael De Re Builder Pty Ltd offers a complete building service from initial cost estimates for development proposals, design developments and cost planning, project management through to construction completion.